Office hours: Tuesdays 9:00 AM-10:00 AM, Wednesdays 11:00 AM-12:00 PM, or by appointment. Office location: Faculty Office Buiding. room 203. Office phone: (408) 924-4470 -- if I don't answer, leave a message! Mailbox: Philosophy Department Office, Faculty Office Buiding, room 201. This office is open Monday-Thursday 9-12 and 1-5. 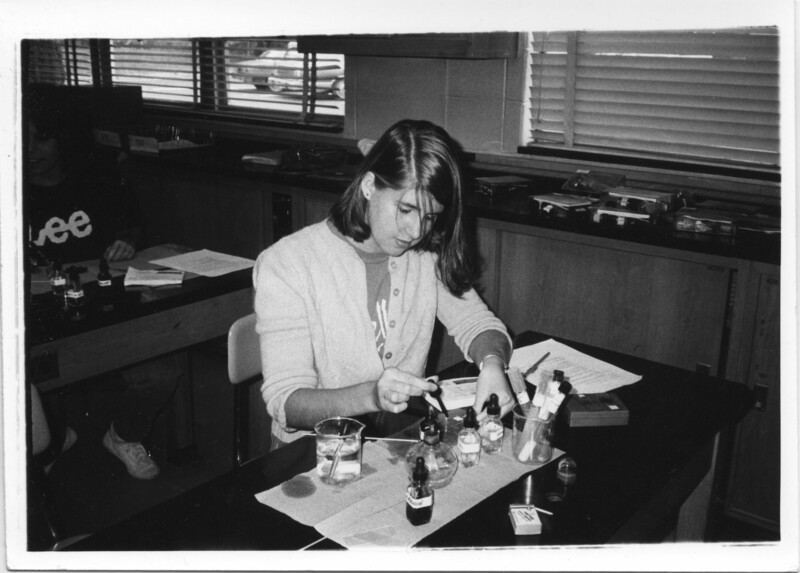 Bio: A long time ago, Janet D. Stemwedel thought she would grow up to be a chemist. In 1989, she moved from parts East (just in time for the Loma Prieta earthquake) to pursue a Ph.D. in physical chemistry at Stanford. She immersed herself in the culture of academic physical chemistry (as seen from the graduate student caste) and discovered that many of the norms of that culture are more often transmitted implicitly than explicitly. Indeed, friendships with graduate students in other labs and other departments made it clear to her that scientific norms and expectations can be quite local and (for the novice researcher) downright confusing. Upon completing her chemistry degree, however, she realized that the questions that really kept her up at night were philosophical questions about science, rather than scientific questions. Thus, within 2 weeks of defending her dissertation, she was taking the GREs (again) and applying to graduate programs in philosophy. So don't get her started about standardized tests! She ended up staying at Stanford to do her Ph.D. in philosophy, specializing in the history and philosophy of science and writing her dissertation on the concept of causation in chemical discourse and in everyday life. After a few years as a teaching fellow in Stanford's Introduction to the Humanities program, she joined the faculty at San José State University. She has taught Philosophy of Science, Ethics in Science, Philosophy and Literature, and a MUSE seminar on mortality. Her research interests include the peculiar conceptual and experimental resources chemistry brings to the project of understanding the world, the relations between different scientific fields (like chemistry, physics, and biology), the transmission of "best practices" in the community of science, and the question of whether the norms of the tribe of science are consistent or conflicting. Her leisure pursuits have included ceramics and ballroom dancing (especially Argentine tango and big band swing). Lately, she is more focused on biointensive gardening, raising her two daughters, and occasionally cycling by the Bay.